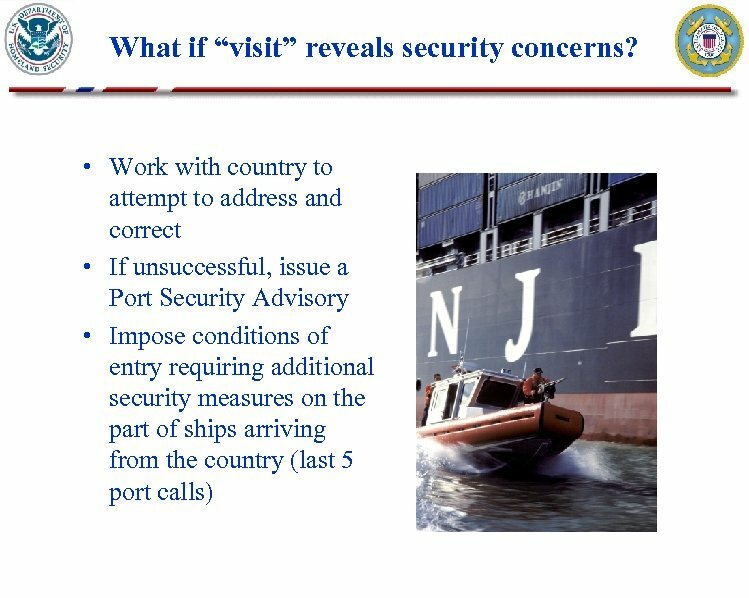 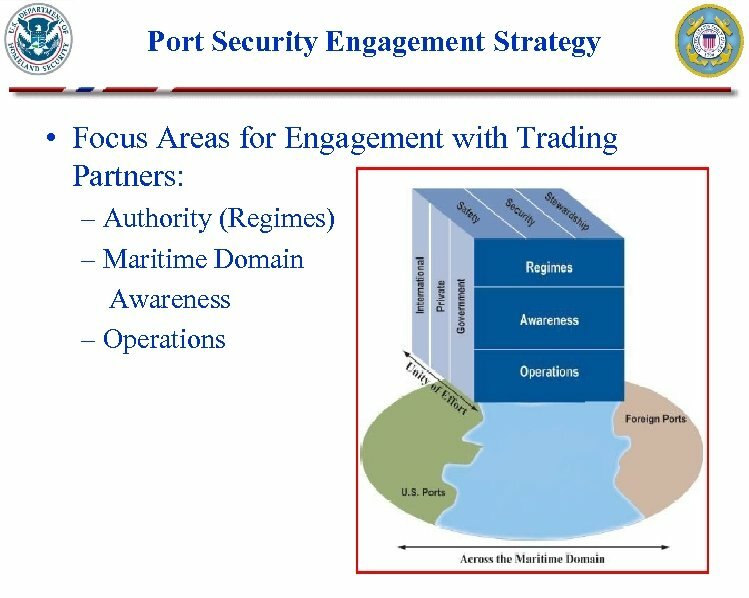 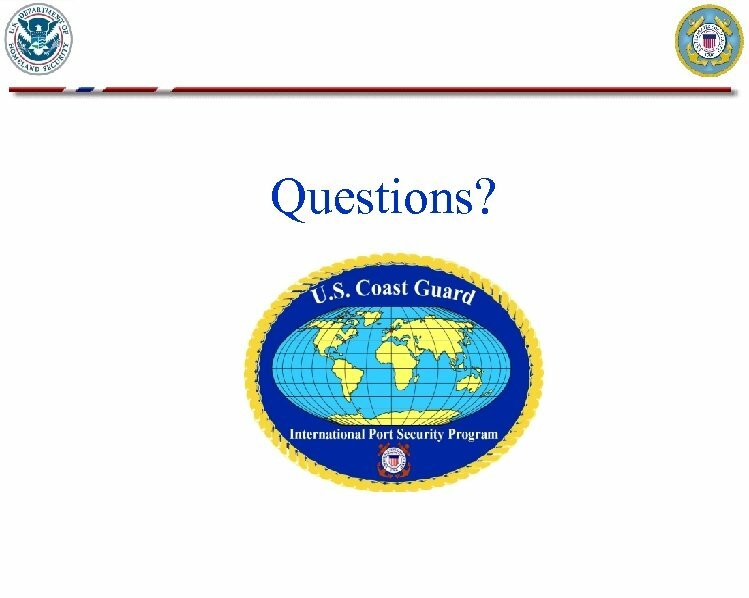 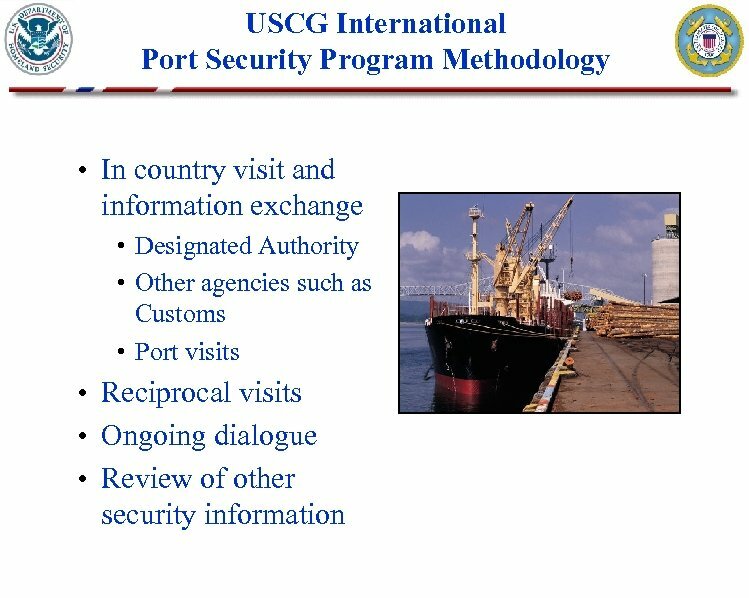 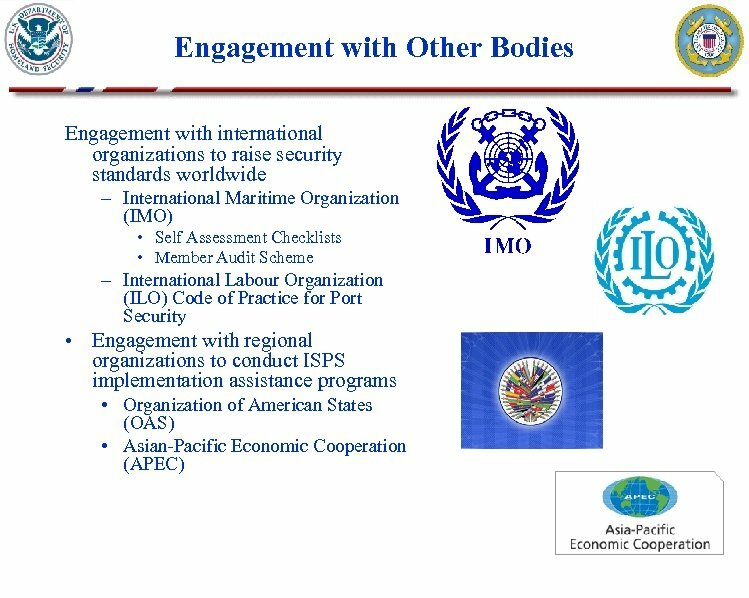 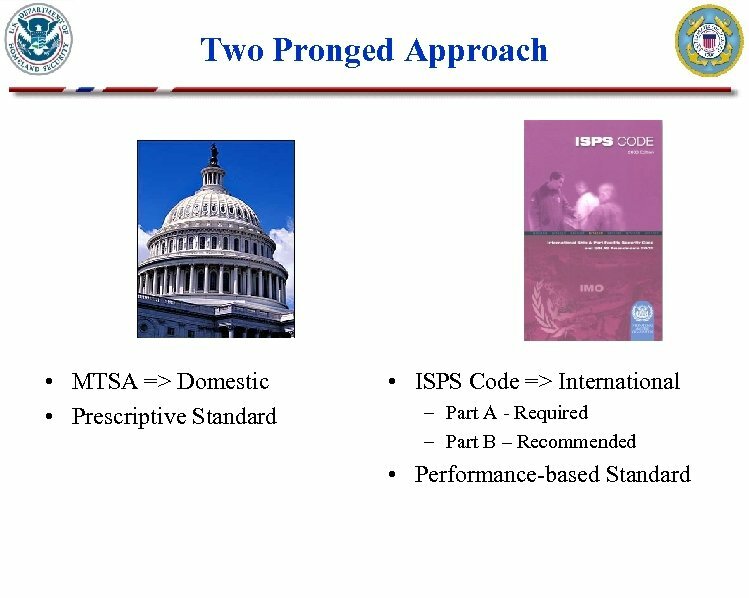 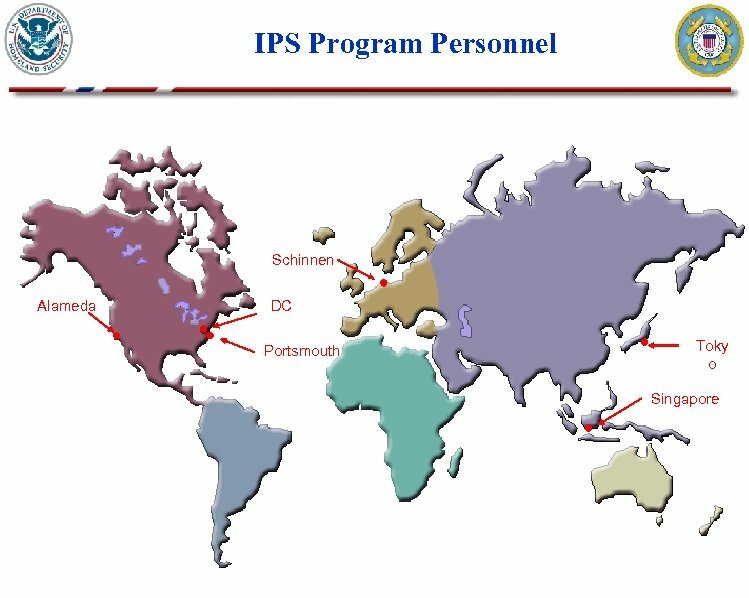 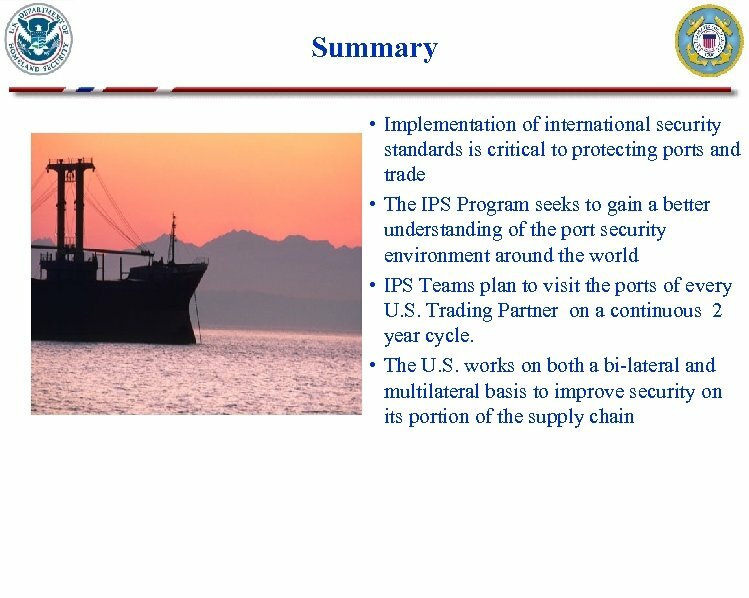 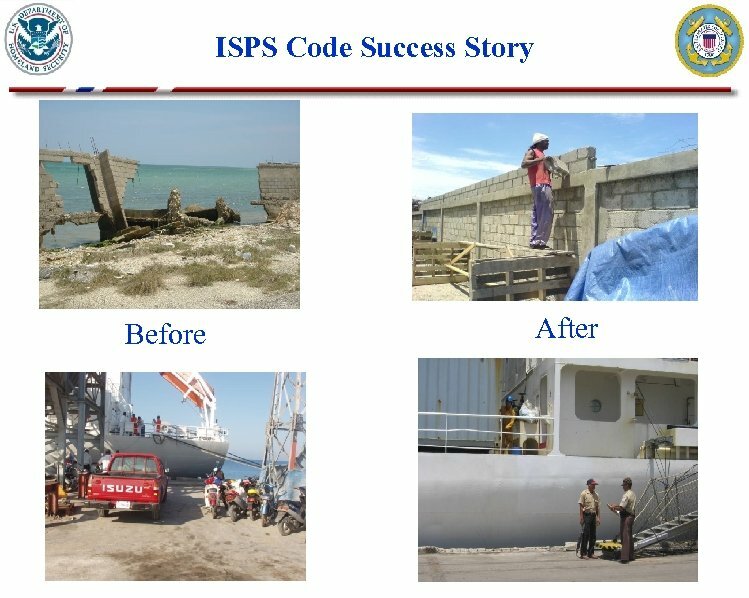 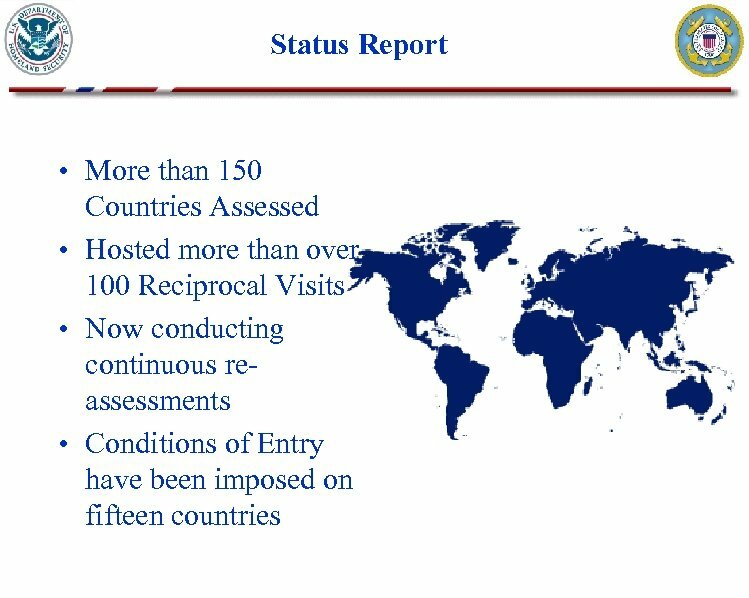 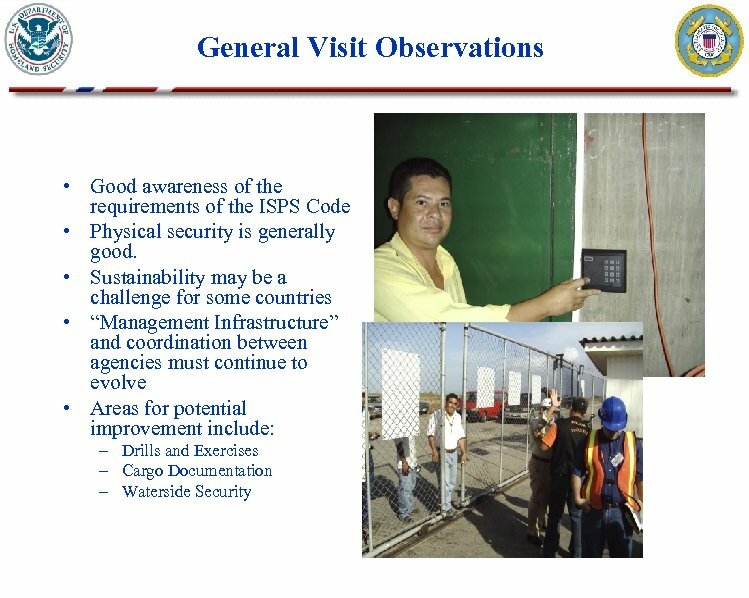 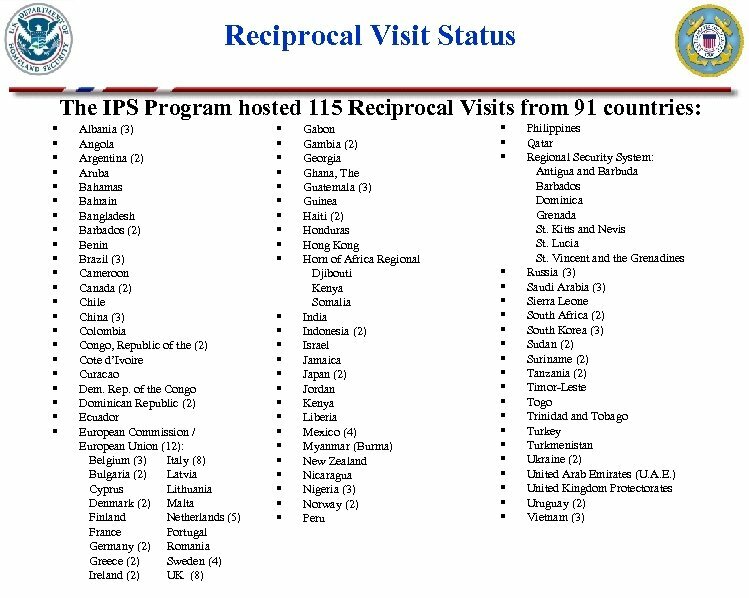 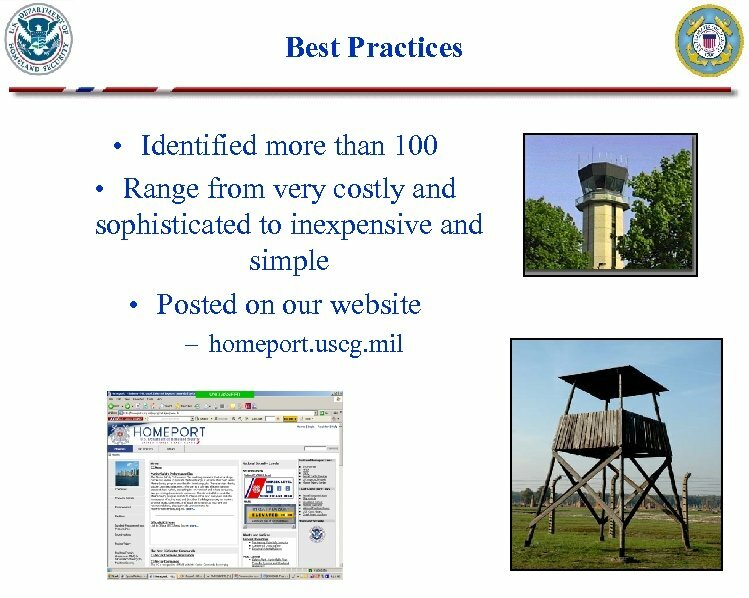 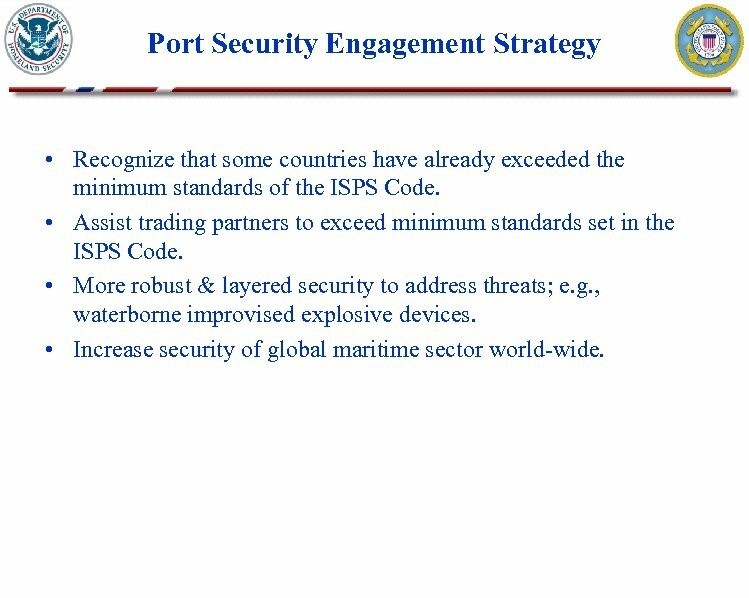 Port Security Engagement Strategy • Recognize that some countries have already exceeded the minimum standards of the ISPS Code. 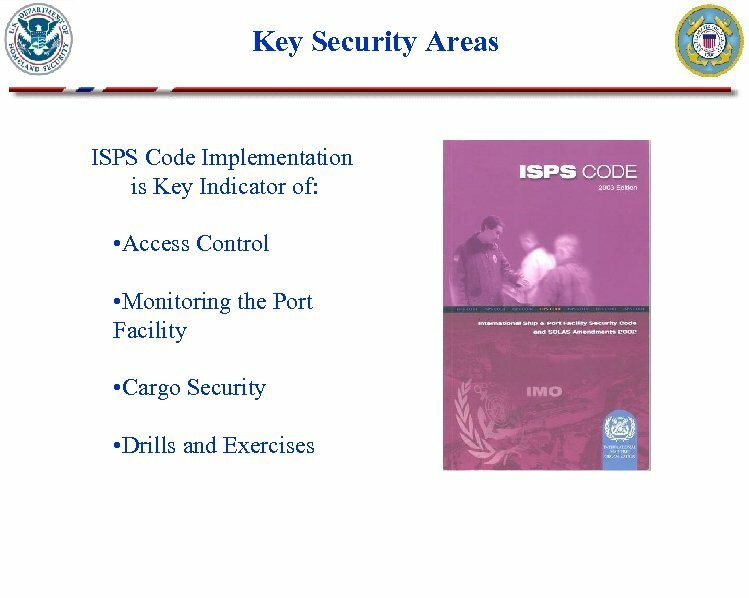 • Assist trading partners to exceed minimum standards set in the ISPS Code. 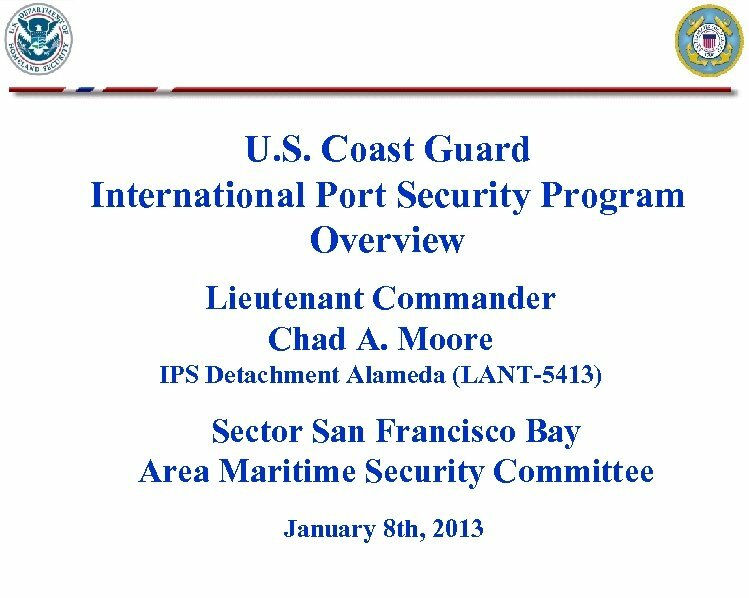 • More robust & layered security to address threats; e. g. , waterborne improvised explosive devices. 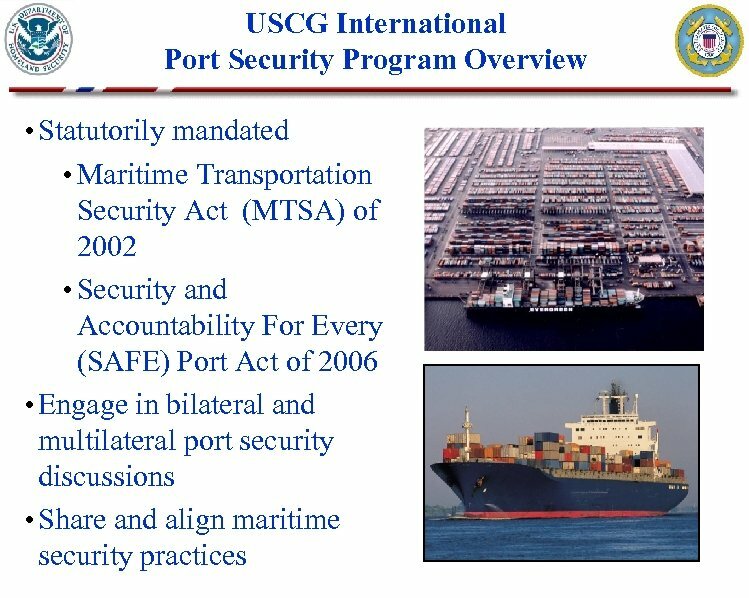 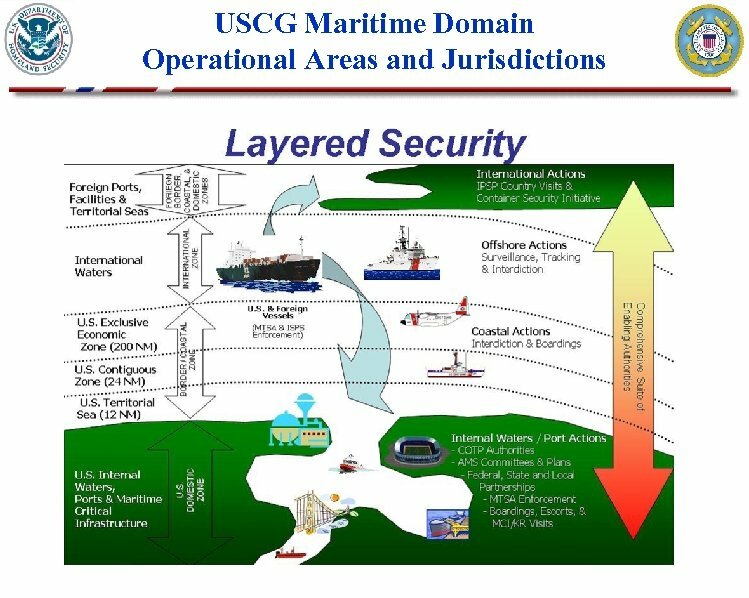 • Increase security of global maritime sector world-wide.